Before the Carlisle Civic Club sold the land to the Borough of Carlisle in 1956, plans were drawn up for Biddle Mission Park as early as 1933. The Pennsylvania Department of Internal Affairs and Bureau of Municipal Affairs ordered these particular plans. These departments handled the managing of land in Pennsylvania but the Pennsylvania Department of Internal Affairs was abolished in 1968. Despite this, the proposed Biddle Mission Park of 1933 is much different than what it is today. 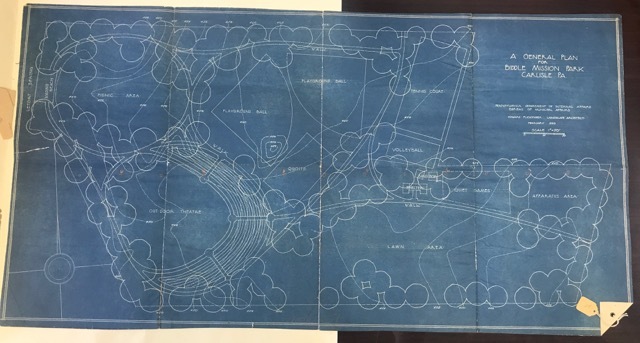 Frederick Law Olmsted would love this park plan because it allows the park to be admired in specific areas while in other areas the park becomes interactive. It has various sections that are to be used for specific activities such as the areas for playground ball (top center), picnics (top left corner), and quiet games (right center). There are many trees and large lawn spaces that, according to Olmsted, should be used for admiring landscape and healthy living. The 1933 plan of Biddle Mission Park is an example of an oasis from the bustle of city life. 1933 design plan for Biddle Mission Park. Today, there are many new and modern features that exist at Biddle Mission Park. One of the biggest is the new fitness trail that was installed. 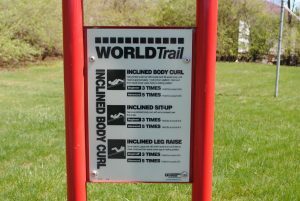 Such stops on this trail include a pushup station and a curl-up station. 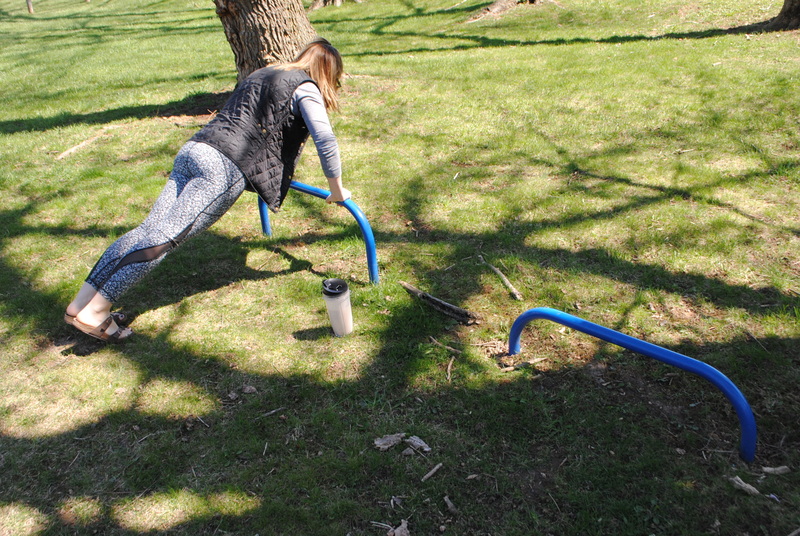 The recent increased awareness for fitness and being active has proved the usefulness of a fitness trail because it allows for those running the trail to have a better-rounded workout with incorporated muscle defining exercises. A report done by the National Center for Bicycling & Walking places emphasis on how parks can integrate several features that increase communal awareness for keeping citizens active and healthy. Such features include increasing walking and bicycling opportunities and using land design to raise positive moral about public health. The land design of Biddle Mission Park embodies such features since its designers have gone through the process of installing fitness stations and a running trail. The Park’s full playground and designated play areas, such as the basketball and volleyball courts, also promote activity amongst children and those who love sports. In addition, the Park’s current project of installing a labyrinth reflects the designers’ commitment to bettering the mental health of those in the community. 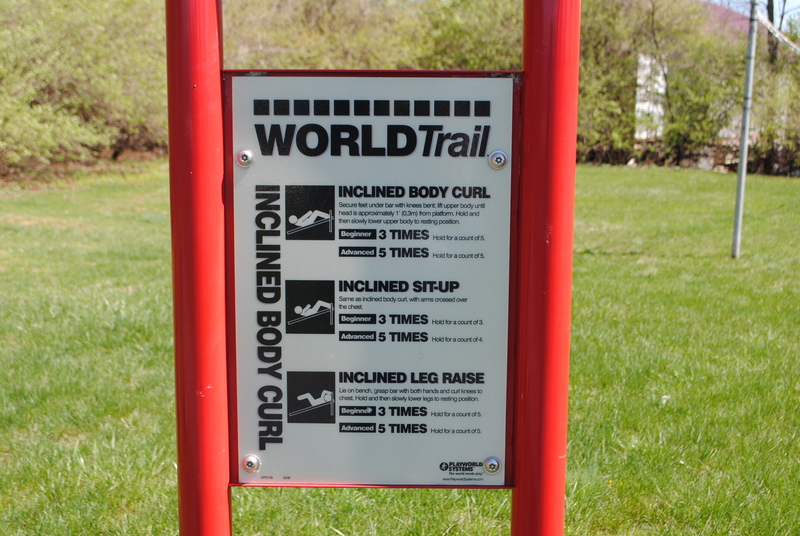 See the Community Relations page for more information on the fitness trail and labyrinth. Photo of 1933 design for Biddle Mission Park taken by Charlotte Fredericks. Park photos taken by Goeun Choi.